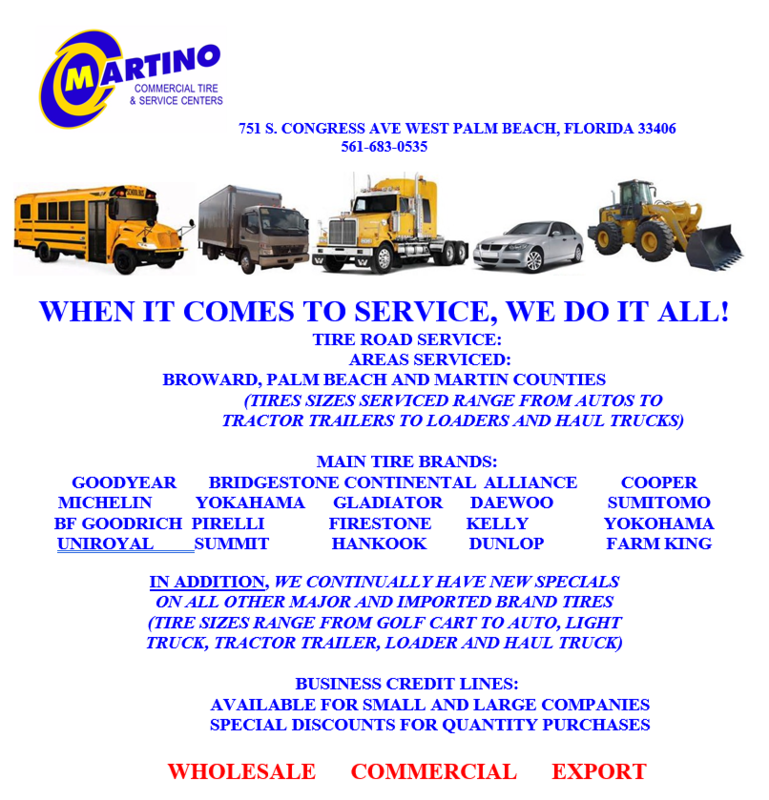 Martino Tire is located at 751 South Congress Ave. in West Palm Beach, FL as an automotive and truck repair, tire, and wheel center. We have spent the last 14 years providing auto repairs, tires, and wheels to our satisfied customers. 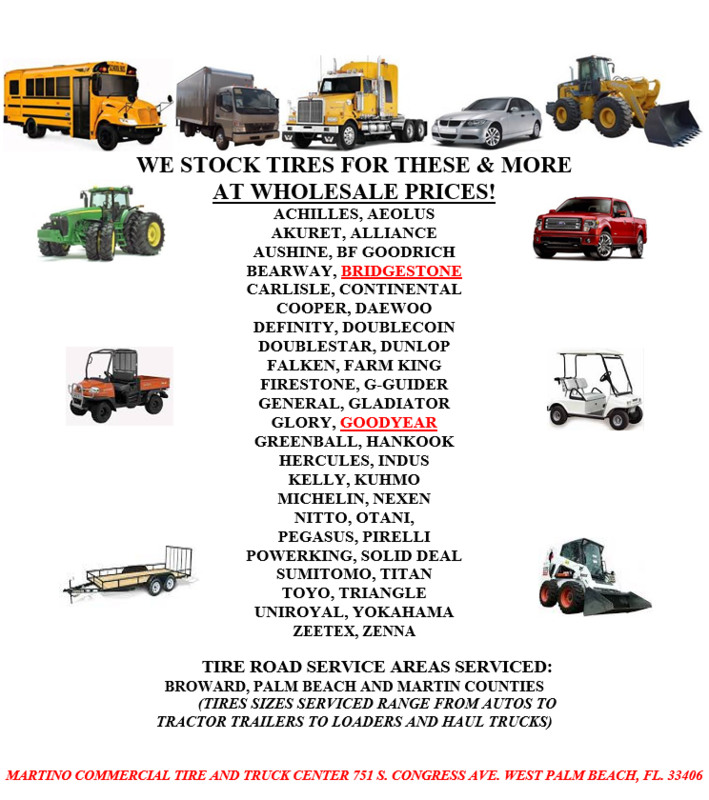 And for our commercial clients we provide fleet maintenance, assistance with mechanical truck breakdowns, and 24-hour roadside assistance and truck repair. You can stop by and see our team in person, call to schedule an appointment, or contact us if you find yourself stuck roadside.